datsun sunny aluminum casting valve cover satin Ver. This is an original casting aluminum rocker cover for datsun sunny engine. ※This cover is not for highway use. ※This cover is designed without a breather. 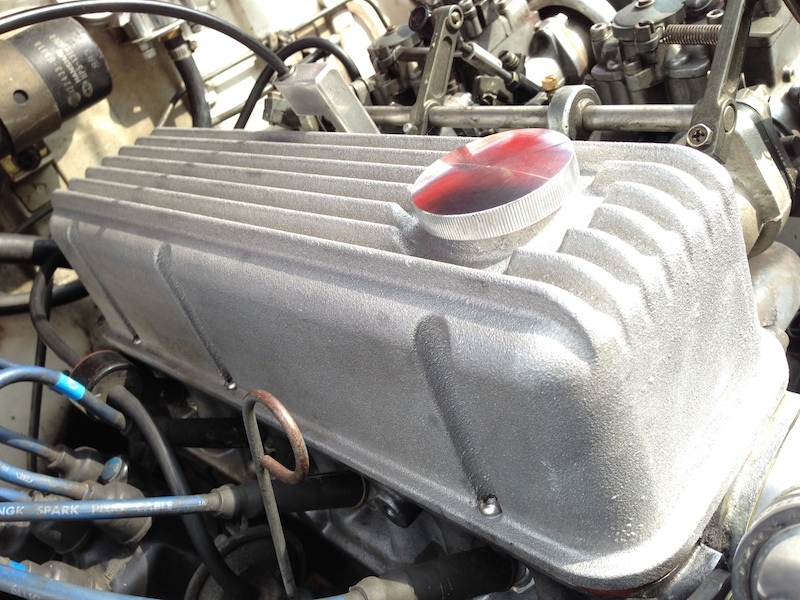 ※Oil cap is not included.Oil cap for NISSAN L engine is suitable. ※This cannot be used for cars using a genuine air cleaner. ※Please use a genuine gasket.